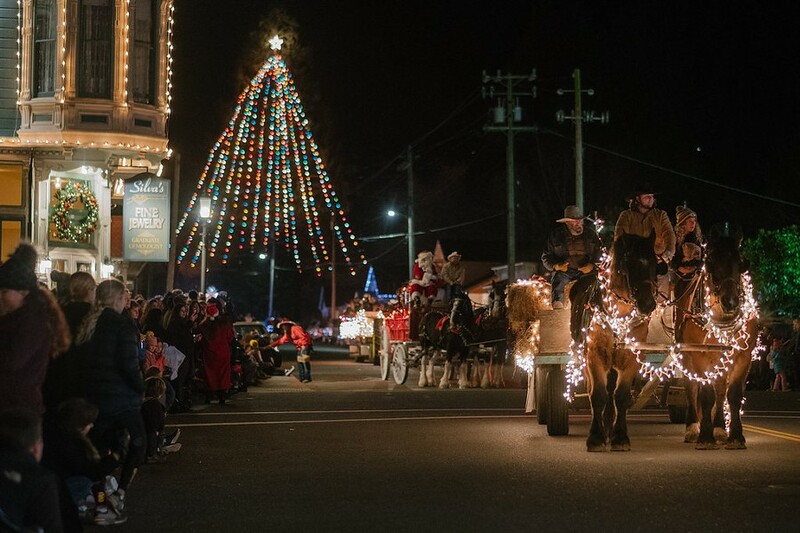 Local farmers and ranchers parade fancifully decorated tractors and tractor-drawn wagons down the Victorian Village's historic Main Street for a sparkling country Christmas celebration! Tractors line up at 4:30 pm for judging at 5; parade starts at 6. Ferndale Community Church (712 Main Street) will be open during the parade, serving free cookies with cocoa and cider. Their restrooms will also be accessible.